This strategy document ‘Arts and Health: Policy and Strategy’ (2010-14) is currently guiding the Arts and health policy in Ireland, alongside ‘Making Great Art Work: Arts Council Strategy (2016-2025)’. 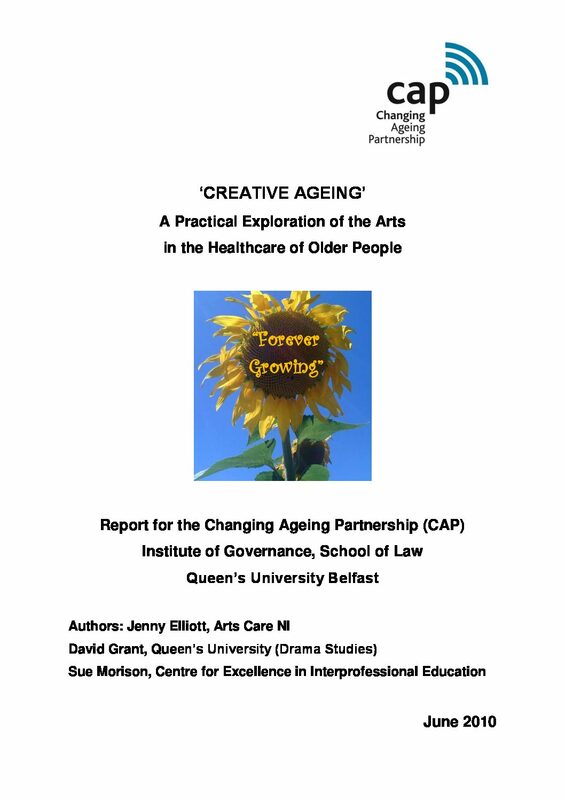 This evaluation assesses the contribution of the Bealtaine festival to promoting the participation of older people in the arts in Ireland, and to improving the health and wellbeing of the people who participate. 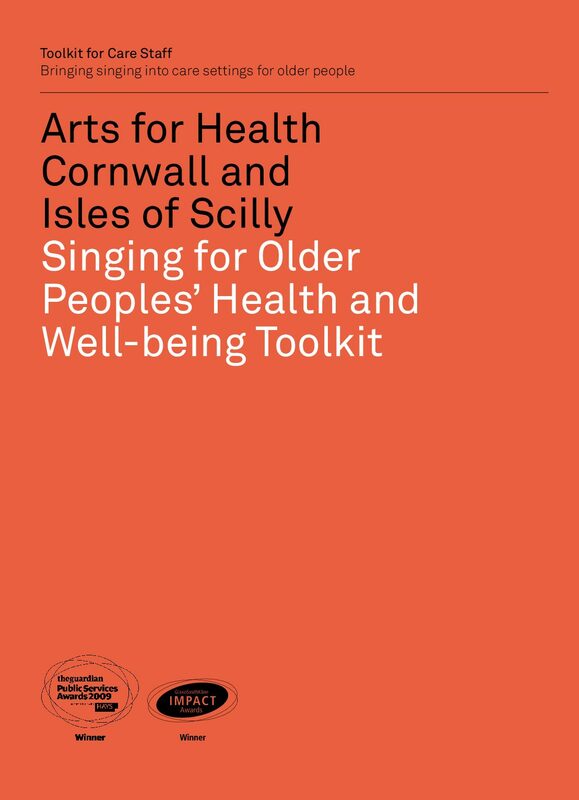 A report by Voluntary Arts England on the effect of arts participation on wellbeing and health is a collection of interviews conducted in 2009 with people from a wide range of backgrounds. 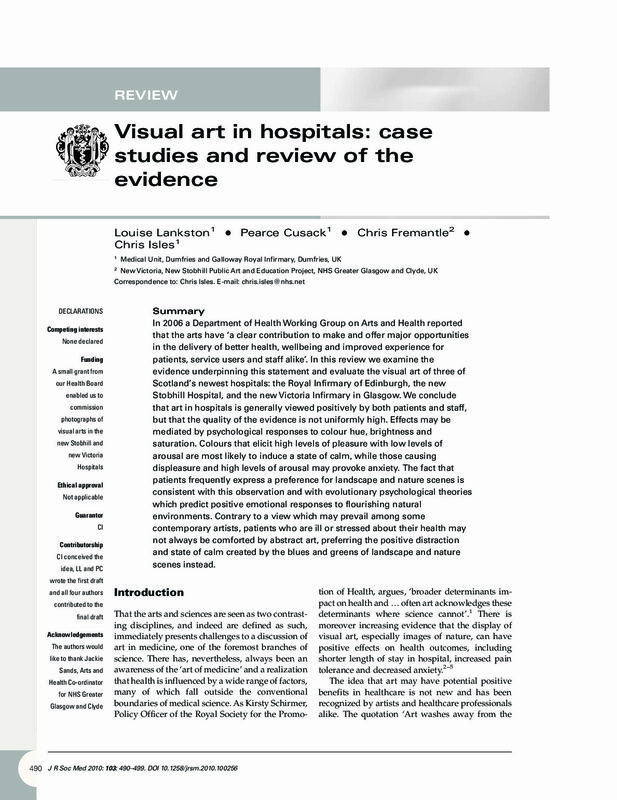 A Department of Health review evaluating the visual art of three of Scotland’s newest hospitals to support the contribution of the arts identified by Department of Health Working Group on Arts and Health report in 2006. The goal of this concept paper by the Canadian Council on Social Development is to discuss alternative conceptualizations of “community vitality” and its component parts and to propose an initial set of measures for inclusion in this domain of the Canadian Index of Wellbeing (CIW). Excerpts from Arts Health Network Canada-BC2010 Business Plan – summarising the importance of the arts in the range of health contexts and the impact on key determinants of health. 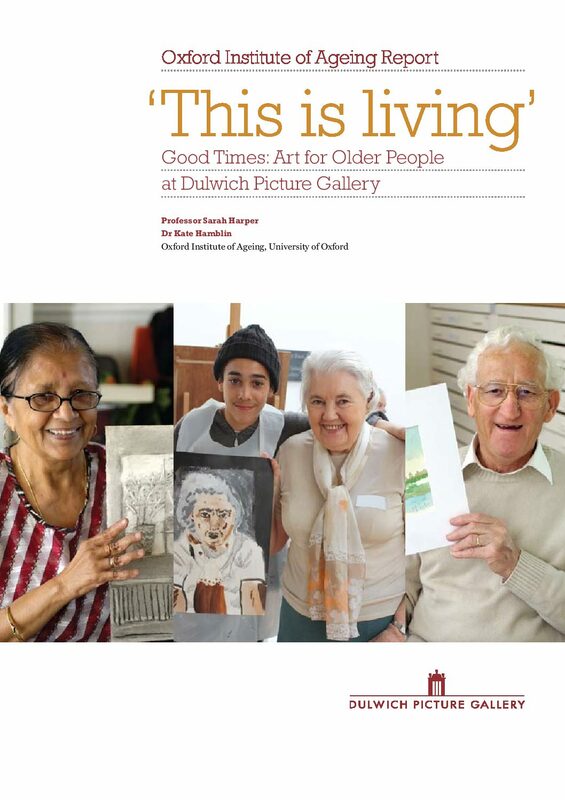 A research study of a specifically designed programme of arts participation for older people diagnosed with dementia living within a supported residential setting. A formative evaluation of a social prescribing programme in County Durham, Arts for Wellbeing, undertaken by the Centre for Medical Humanities (CMH) at Durham University. 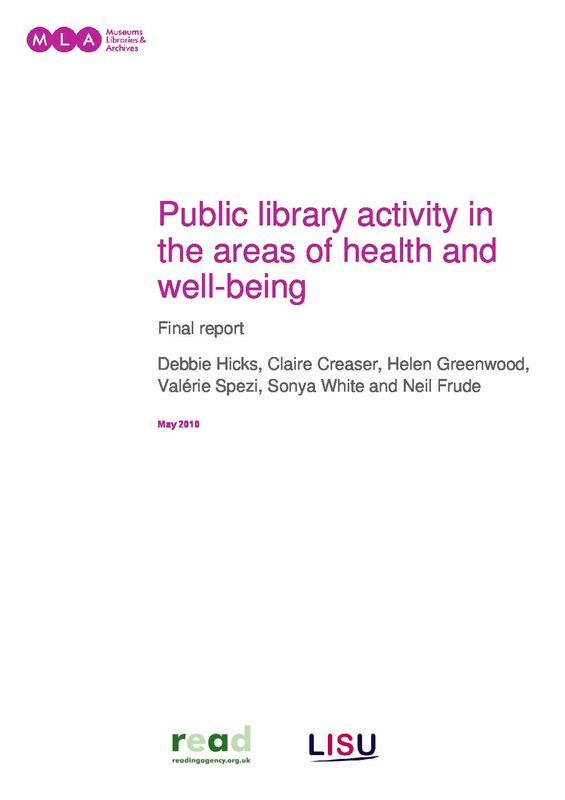 A study examining the evidence of the wide range and diversity of health and well-being activity in public libraries. 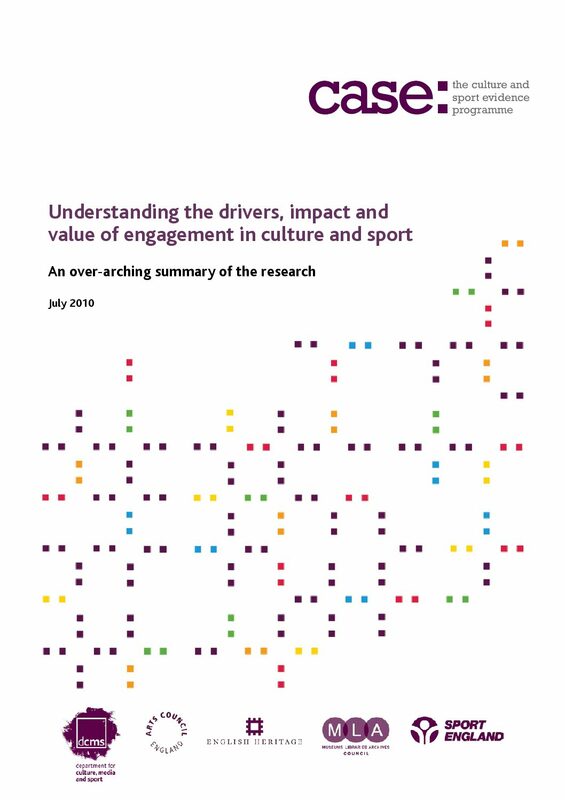 A three-year DCMS led programme of research on evidence for engagement in culture and sport – the drivers, impacts and value. A report on a long-term Dulwich Picture Gallery project with older people identifying positive outcomes including improvements to social isolation. A Toolkit for care staff – bringing dance into care settings for older people, including ideas, advice and inspiration to begin a dance session in ones own care setting. A review of literature on dance and its impact physiologically and psychologically among elderly populations. An evaluation of an “arts on prescription‟ programme to complement the existing treatment and care services for mild-moderate depression. This report highlights the role of VicHealth Promotion Foundation in a partnership approach to the arts and new media in promoting health in Australia through its 2010-13 Action Plan that recognises the transformative power of the arts.